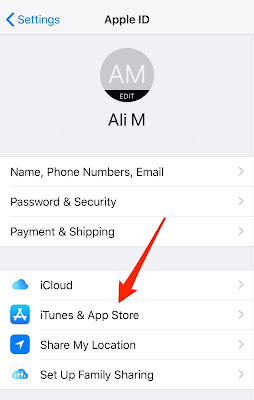 you own two or more iOS devices that are connected to the same Apple ID, then you must’ve noticed that when you download an app on one device, it gets downloaded automatically on the other device as well. This is because of a feature in iOS called Automatic Downloads. 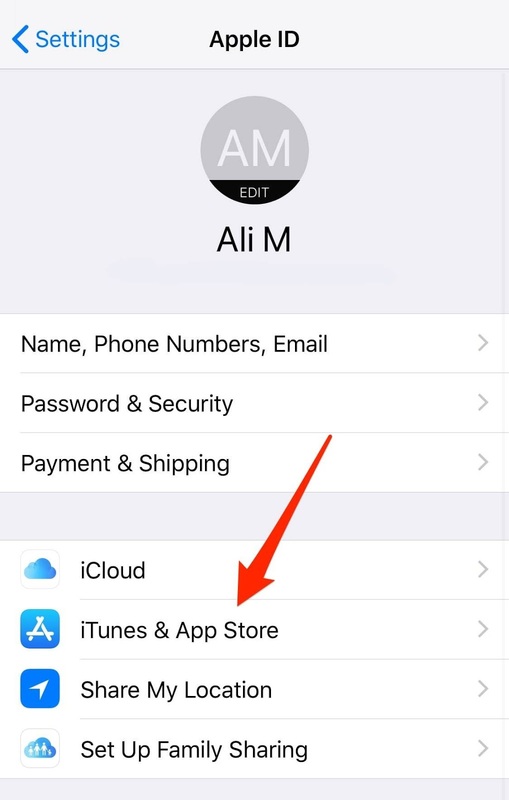 The Automatic Downloads feature is capable of downloading apps, music, and books automatically across all your devices that are using the same Apple ID. It also has a feature to automatically update apps in the background so that you always have the latest version of apps installed. While this feature could be very useful, it has a couple of drawbacks as well. 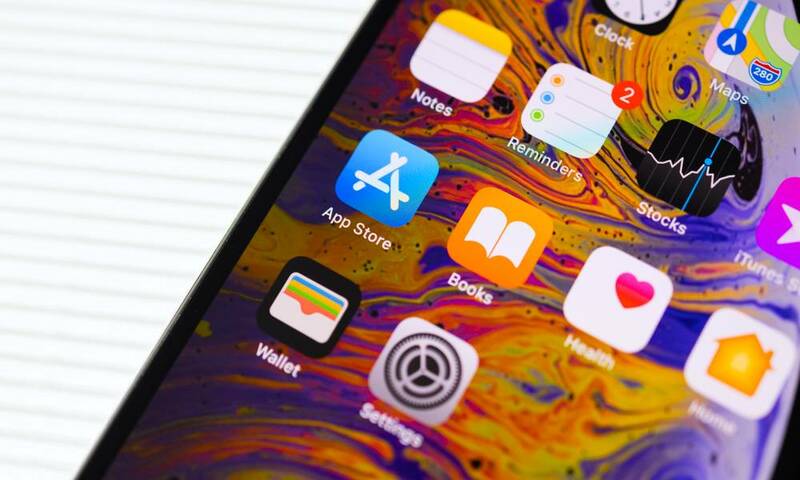 The major issue is that it could consume a lot of mobile data if large apps are downloaded automatically without your knowledge. If you have a mobile data plan that comes with a limited bandwidth, then having Automatic Downloads enabled can be problematic. 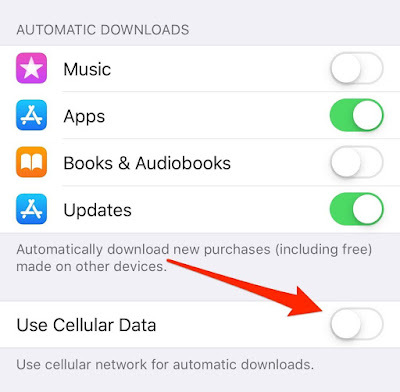 Fortunately, Apple does allow users to disable Automatic Downloads when on Cellular Data or turn off this feature completely. In this article, we’ll show you how it can be done. Tap on your name at the top of the Settings app. This takes you to your Apple ID settings. Next, tap on iTunes & App Store. Here you can decide how you want Automatic Downloads to function. Under the section labeled ‘Automatic Downloads’, you can choose the type of downloads that should be allowed. 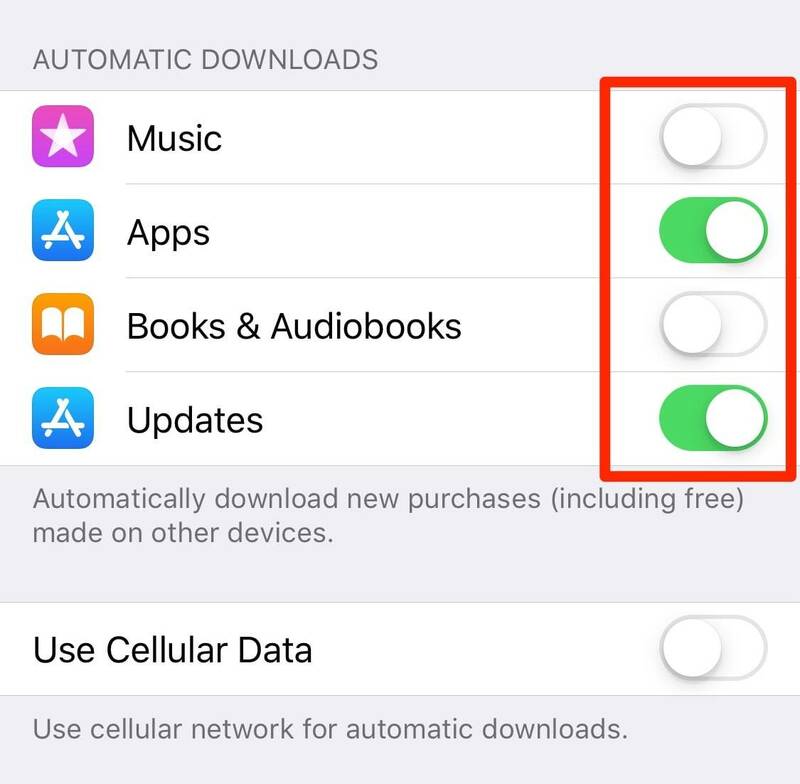 By default, it is enabled for Music, Apps, Books, and Updates. The Updates option allows you to have all your apps updated automatically whenever there is a new version available. 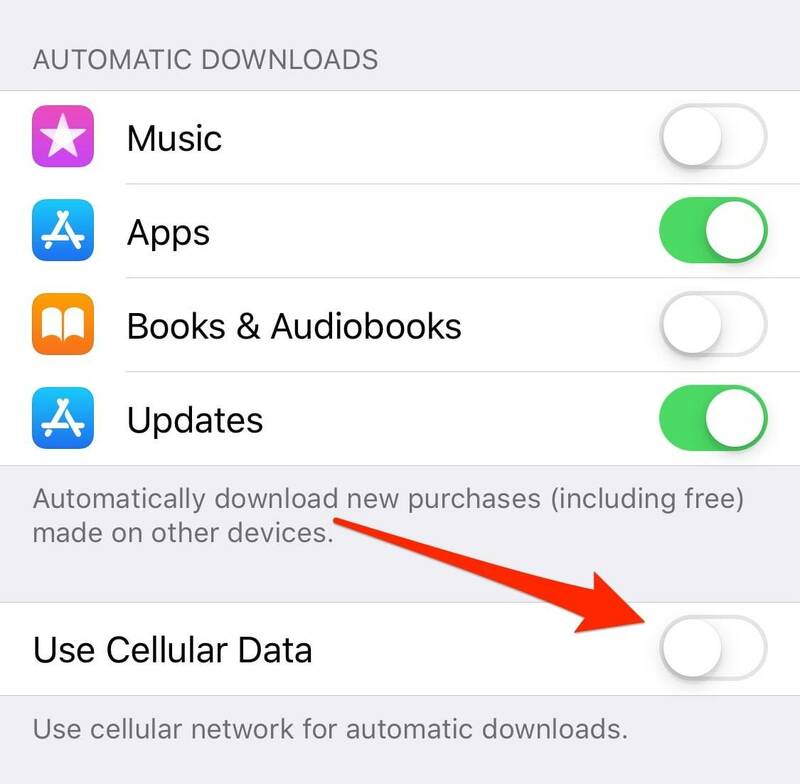 If you wish to have Automatic Downloads enabled, but turn it off when on Cellular Data, then toggle off the option that says Use Cellular Data. 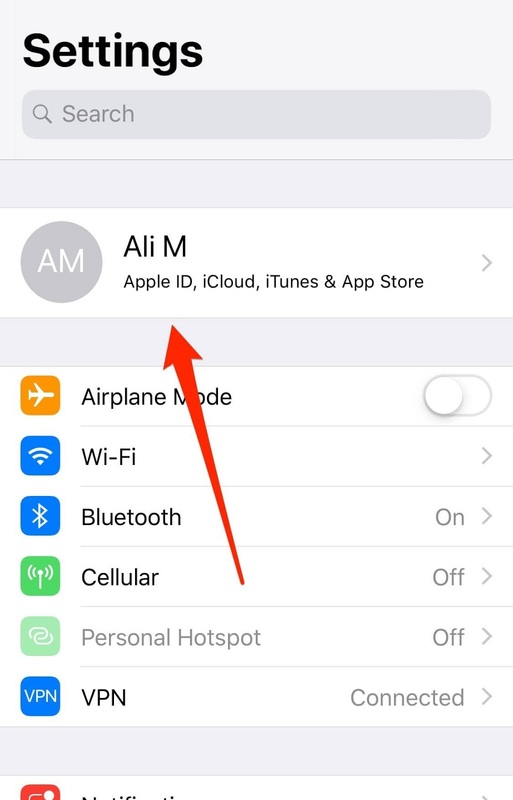 In this way, automatic downloads will function only when you are connected to a Wi-Fi network. 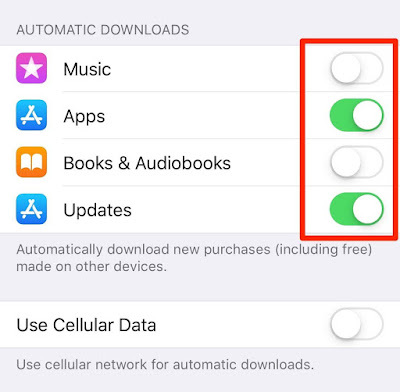 If you wish to disable this feature altogether, then turn off all the toggles under ‘Automatic Downloads’, or selectively choose the type of downloads that should be disabled. That’s all you need to do to disable Automatic Downloads. I generally keep App Updates enabled so that all of my installed apps are updated automatically and are always on the latest version. If you plan to enable this, make sure to turn off the Use Cellular Data option so that you don’t waste your mobile data on a limited plan.